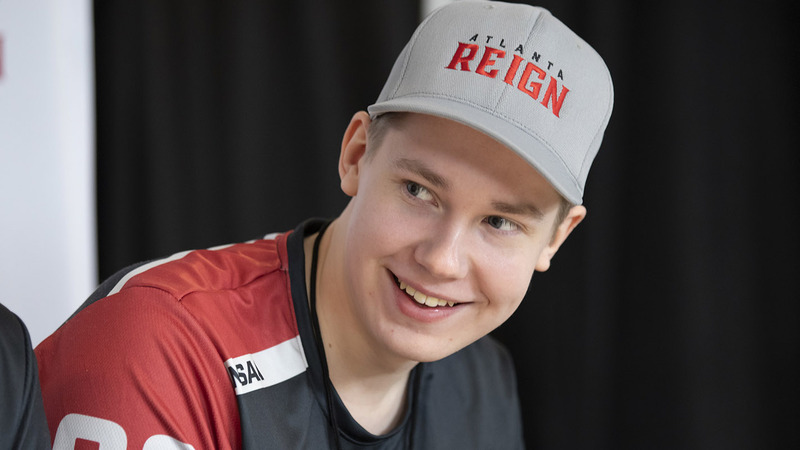 For Hyun-jun “Pokpo” Park and Petja “Masaa” Kantanen, the Overwatch League is about more than proving their worthiness. They know their worth already, having played on two of the most dominant Overwatch teams in their regions this past year (Element Mystic and Gigantti, respectively.) Now is the time to prove that they should have been given that chance a year ago. We sat down with these two Atlantic stars to see how their handling the pressure, and their goals for the season. Enjoy! Would you say that Brad shedding his fear of fielding a mixed-language roster is paying off for you guys at this point? Have there been any surprises or bumps? 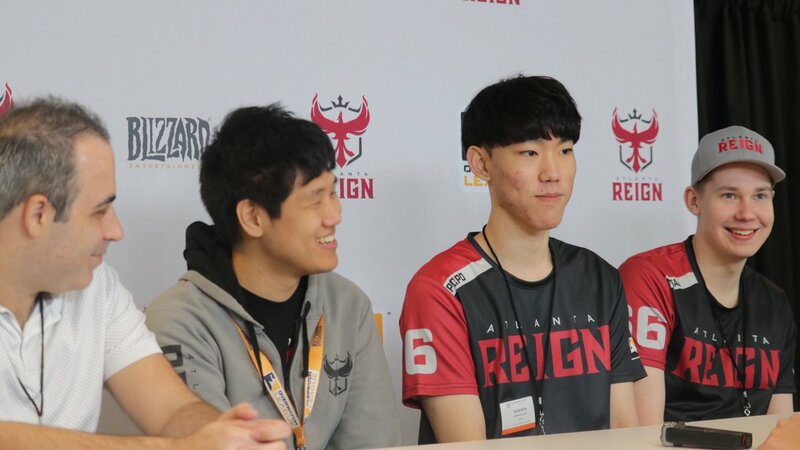 Pokpo: Compared to all-Korean teams and all-English speaking teams, of course the communication isn’t as delicate or precise. But from the moment that we got here, I think our communication has improved significantly. The language barrier is only gonna get lower as time goes by. Masaa: Yeah, I’d say we’re on schedule as far as training and where we want to be before the season starts. When it comes to the language barrier, of course there’s gonna be some hitching points here and there, but they can be worked around and fixed pretty easily because, as Brad said, there’s a lot of context in Overwatch. If I yell ‘Zarya,’ everyone’s gonna know, since that’s her name in pretty much every language. The only time [we struggle] is off-game, when we’re not playing and we talk around in the house and stuff like that. Then people might not understand each other. But the good thing is that we have Dongmin to help us. I think it’s safe to say that both of you are fairly highly rated in your positions – do you feel any pressure to perform against other specific players within your role? To prove yourself against any big names? Pokpo: I didn’t know I was rated so highly, honestly. Now that I know, I’m gonna think twice and try and minimize mistakes. I’ll do my best to perform on stage. Masaa: Well, people will of course have different opinions about players, – about how good they are and if they’re better than [others]. Of course there’s some pressure when you think that people think you’re good. I just try to not think about it and go do my own thing at the stage. Of course I’ll give it 110 percent, give all I’ve got. But I just try to not stress about it too much. Masaa: Yeah. I’ve always tried to not stress too much – just do what I came here to do and play my best. Who are some players that you’re looking forward to playing against, regardless of role? Masaa: For me it’s probably BigGoose or Kruise. Why those two? Is it specifically because they’re EU supports like yourself, or are they just that good? Masaa: Because they’re European supports. I’m not that familiar with NA or Korean support players. [They’re] the guys I know, that I talk about. We have a friendly rivalry going on. So it’s more about that. How about a team? Anyone in particular you guys want to go after? Masaa: Probably NYXL for me. Common targets, definitely. Just because they’re just so high up there? Because they’ve got the target on their back? Are there any messages you might want to get out there to “clear the air” on any common misconceptions about the Reign? Seen any power rankings that made you say “That’s not even close to right!”? Masaa: The thing is not to take them too seriously. They’re all from the single person who makes them, and I think they’re fun to read, because players have some inside information. It’s fun to read which ones are more correct and which ones are way off. Just try not to take them too seriously, because people have different opinions about different players. They don’t have any inside information for what’s going on in scrims, what teams are good and what teams are bad. But I can see why people make them. They’re fun to read and see which one is close. At least, that’s why I like them!